Take a look at our February-April Newsletter! 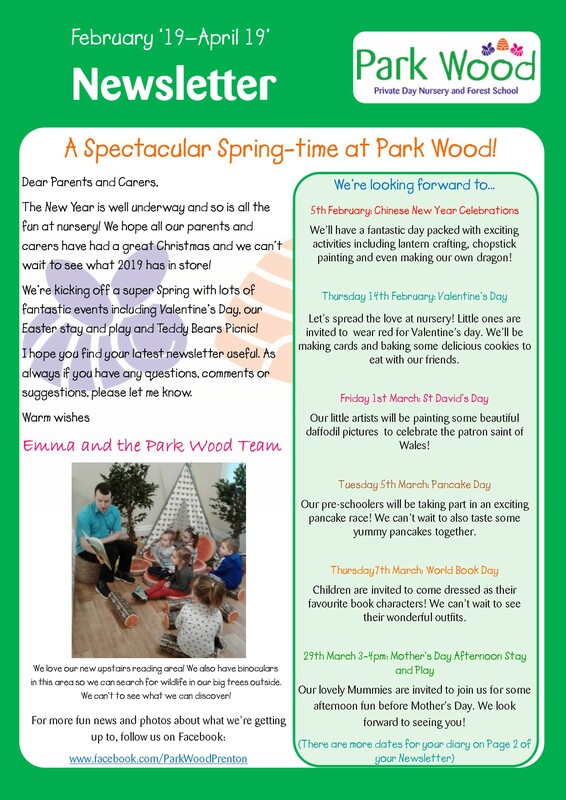 It’s another super Spring at Park Wood! With a new year comes lots more fun and we can’t wait. Take a peek at all that’s coming up! Check out our full February-April Newsletter here!